Why is Offshore Fishing so Much Fun? Here are a few good reasons you should book an Offshore Fishing Charter. 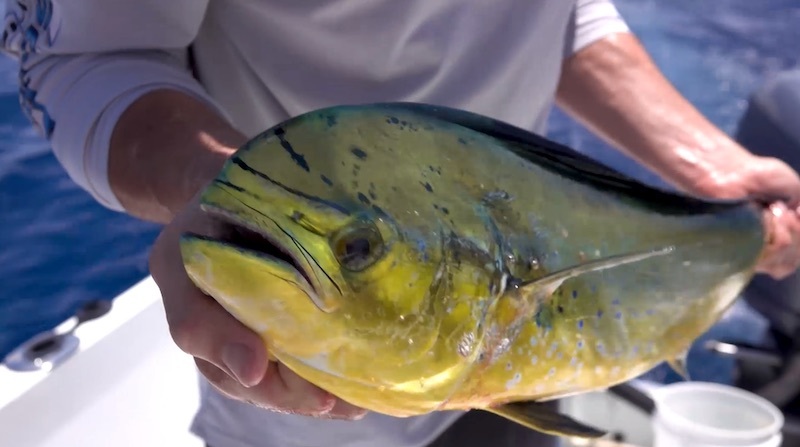 Are you considering taking a fishing trip in South Florida? Ocean Atlantic Charters provides offshore fishing trips and deep sea adventures for anglers regardless of their experience level. We own top-of-the-line boats and fishing gear with a proven track record of catching a large quantity of fish. Come and experience the best offshore fishing from mahi-mahi, wahoo, sailfish, bonito, snapper, kingfish, grouper, and amberjack. You can even catch sharks! True anglers appreciate all types of fishing, but many have their preferences as far as methods and locations. Allows us to take you through the overall sport, success, and functionality of offshore fishing and why you should try it today. We not only employ the common fishing tips for offshore success, our local captain has a few extra tricks up his sleeve! There are beautiful views you don’t want to miss from the ocean, for instance, a sunrise and the clear blue water. Apart from these spectacular views, you’ll get a chance to spot unique marine life such as dolphins, rays, and sea turtles. You can find snook, redfish, and trout inshore. But there are numerous fish you will miss out on unless you go further out to sea. Our offshore fishing boats can take you to the deep water to catch pelagic species that are a great battle and delicious to eat! Whether you are taking your family or some friends, our experienced and knowledgeable captains will provide you with memories to last a life time! If you are wanting world-class fishing year-round, contact Ocean Atlantic Charters today. We are proud to be the top rated Boynton Beach Fishing Charter in our area! If offshore fishing seems too intense for your liking, consider our inshore fishing options. Our charter fleet consists of 30′ Bluewater boats plus the latest technology and gear to give you a trip of a lifetime. Start now by booking a trip with only a $200 deposit. Offshore fishing charters start at $650 for a half day.